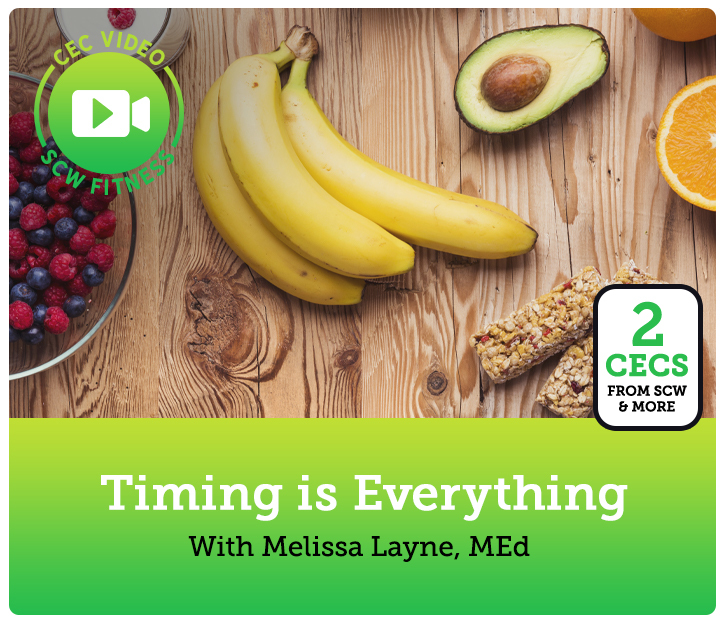 To access this page, you must purchase CEC Video Course: Timing is Everything. [x_icon type="check-circle"] CECs/CEUs: SCW (2.0), ACSM (2.0), AFAA, NASM, AEA Pending. Melissa is a Kinesiology Department faculty member at the University of North Georgia. 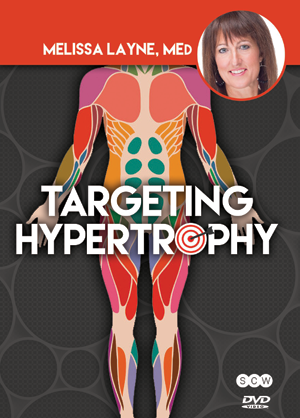 She has 30 years of experience and a Master’s degree in Exercise Physiology. 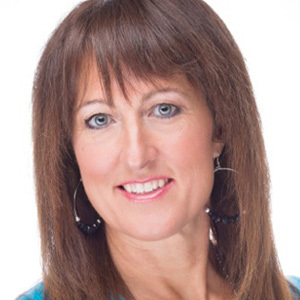 She taught elementary PE and coordinated fitness programs for Royal Caribbean, Home Depot and orthopedic surgeons. 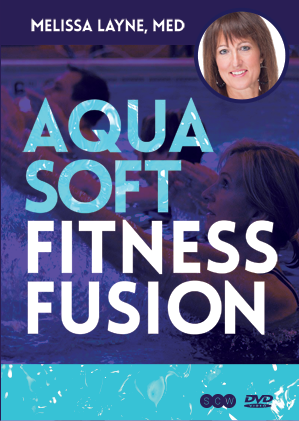 Melissa is the author of WATER EXERCISE (Human Kinetics 2015), a member of the educational faculty and a DVD presenter for SCW. 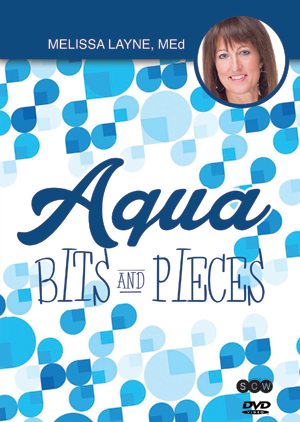 She is well versed at taking complicated material and breaking it down into easily understood pieces. 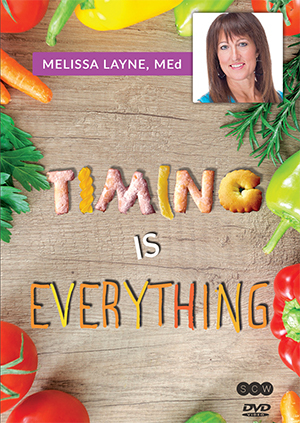 Exercise-nutrient intake timing is critical in determining physiological results. Differing macronutrients affects outcomes, and with the popularity of carb cycling and carb fasting, fitness professionals must understand these concepts. Explore the timing aspects of front and back loading and what research shows about carb cycling and fasting for weight loss, muscle gain and while cutting. To access this post, you must purchase OnDemand Monthly Subscription Payment Plan, OnDemand Annual Subscription, OnDemand Month-to-Month Subscription, SCW Premium Membership: 1 Year, SCW Premium Membership: 2 Years, OnDemand 6-Month Subscription, OnDemand 2 Year Subscription or Timing is Everything. 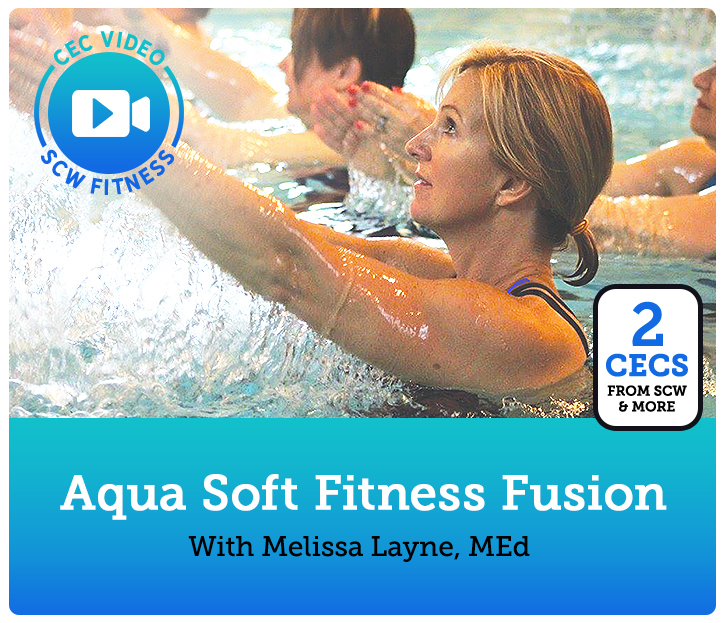 To access this page, you must purchase CEC Video Course: Aqua Soft Fitness Fusion. 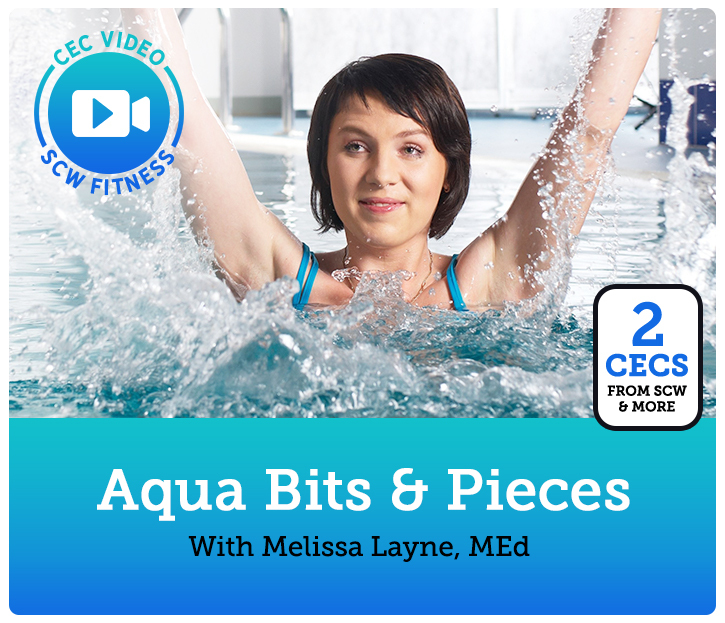 To access this page, you must purchase CEC Video Course: Aqua Bits & Pieces. 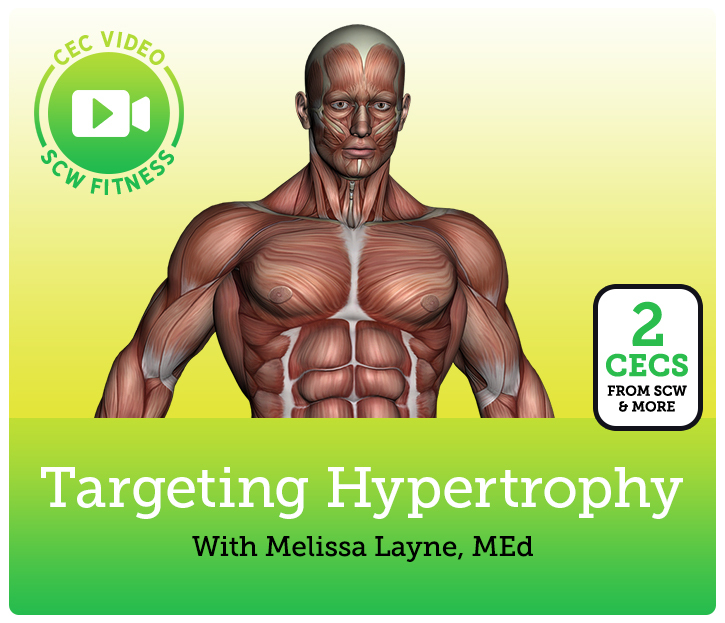 To access this page, you must purchase CEC Video Course: Targeting Hypertrophy.